The hiding moon was sighted in KPK and we again failed to have uniformity in having our first fast on same day in whole country. Every year we think same question do we have more than one moon so which we are unable to see but somewhere someone in KPK saw it and declares moon sighting before whole Pakistan. Well we did not missed it this year as well. On Wednesday The Central Ruet-i-Hilal Committee announced that the moon of the holy month of Ramadan was not sighted in the country and that the first of Ramadan will be observed from Friday, June 19 in the country. The announcement was made by Chairman of the Central Ruet-i-Hilal Committee Mufti Munib ur Rehman after chairing the meeting of the committee held at the Meteorological (Met) Office. On the other hand after so much criticism, this year government was making efforts to ensure that the Islamic month begins the same day across the country. The religious affairs ministry has contacted all stakeholders to follow and accept the decision of the Ruet-e-Hilal Committee regarding the start of the month of fasting. Meanwhile, Saudi Arabia, Bahrain, the United Arab Emirates and Qatar announced Ramadan would start on Thursday. And here comes the hero of this scene, whom we actually does not see whole year but only on Eid’. No doubt he is true “Eid ka Chand”. 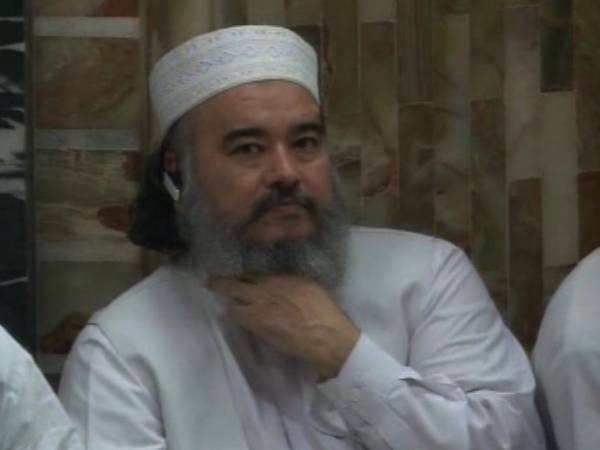 As per tradition Mufti Shahbuddin Popalzai of Masjid Qasim Khan, Peshawar announced the sighting of moon and first fast will be observed in on Thursday. Addressing the media late on Wednesday, Mufti Popalzai announced that the moon have been sighted and first Ramadan will be on Thursday, June 18, 2015. We doubt in capability of met office and the whole Ruet-i- Hilal Committee who are unable to find a moon or maybe he is too shy for all of us but is acquainted with Mufti Popalzai who always see it first. This act of no uniformity in starting of first Ramadan is now very much discussed among whole nation and many feel sick because they get more or less two eids every Ramadan.